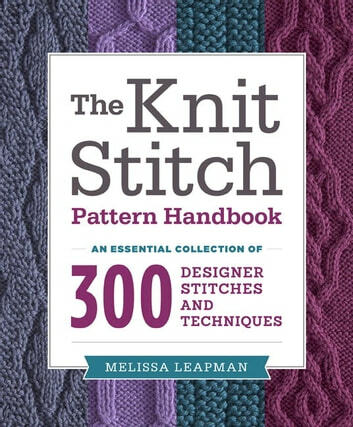 Beloved knitwear designer Melissa Leapman offers a comprehensive stitch dictionary and guide with more than 300 original knitting patterns, including slip stitches, cables, and lace. Knitters love their stitch dictionaries. Melissa Leapman, known for her knitting references, shares 300 of her favorite stitch patterns developed over her long career. With basic step-by-step knitting instruction, information on how to most effectively use a stitch dictionary, and a wealth of original stitch patterns, this book will appeal to all levels of knitters looking for a comprehensive, yet portable volume. 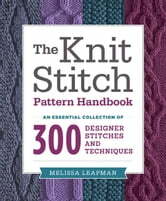 The book includes stitch patterns in five categories from imaginative novelty stitch patterns to traditional knit designs. Each stitch pattern includes a gorgeous photograph as well as written and charted instructions.